Dr. Jacob W.B. Mendenhall is an accomplished oral and maxillofacial surgeon dedicated to serving the needs of OKC-OMS patients and the wider community. He is the recipient of numerous awards and honors for academic and professional excellence and, through his volunteer work, supports underserved populations in our area. Board certified in oral and maxillofacial surgery, Dr. Mendenhall can diagnose and treat the full range of conditions affecting the mouth, gums, teeth, and jaw. He has performed thousands of procedures for patients, leveraging his expertise in wisdom teeth extraction, dental implant placement, bone grafting, corrective jaw surgery, oral pathology, TMD diagnosis and TMJ surgery. Jacob Mendenhall has more than a decade of experience in oral and maxillofacial surgery. Over his career, he has treated patients of different ages and backgrounds with a wide variety of needs. Those in his care appreciate his friendly, personable style and the welcoming and supportive environment that OKC-OMS offers them. Advanced technology and surgical techniques benefit Dr. Mendenhall’s patients. He uses cone beam CT scanning to visualize concealed structures of the mouth, allowing for a more precise surgical approach. 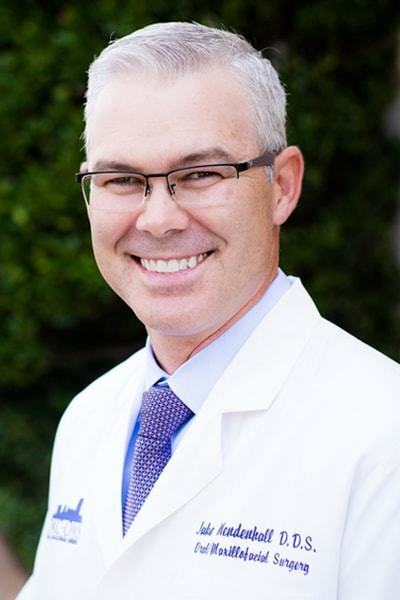 Dr. Mendenhall frequently uses ​CBCT technology to employ computer generated assistance and guides for both implant placement and corrective jaw surgery. He also employs CO2 laser resurfacing when appropriate to reduce recuperation time and lessen the chance of complications. Dr. Mendenhall’s chief focus in practice is providing the best possible outcome for patients. This is part of the reason that dentists, prosthodontists and orthodontists refer their own patients to him. He listens carefully to their concerns, fully evaluates their condition, and creates a suitable treatment plan for their needs. Jacob Mendenhall graduated with Special Distinction from the University of Oklahoma College of Dentistry, where he then completed his residency in oral and maxillofacial surgery. As a graduate student, he conducted research investigating facial bone implant technology and facial reconstructing solutions. Combining his love of learning with ongoing service, Dr. Mendenhall has taught as an associate clinical professor in the University of Oklahoma’s oral and maxillofacial surgery program. In the past, he has presented to dental students and residents on the topics of correcting midface deformities, bone grafting techniques and dental implant placement. Educating future professionals allows him to cont ribute to and shape the field while staying abreast of its latest developments. OKC-OMS holds annual Continuing Education courses for health care professionals in the community. Dr. Mendenhall has been the recipient of multiple academic and professional honors. During his training at the University of Oklahoma, he won the Jay F. Anderson Award as well as the merit-based Baker Fund Dental Scholarship. Jacob was consistently placed on the honor roll and dean’s list and ranked among the top of his class. As a student, Jacob served as vice president of the University of Oklahoma Medical School’s Oral Surgery Honor Society. He was also inducted into Omicron Kappa Upsilon, the national dental honor society. Today, Dr. Mendenhall continues to expand his knowledge with professional development opportunities and to share his experience with others in the field. He is a member of the American Association of Oral and Maxillofacial Surgeons, the American College of Oral and Maxillofacial Surgeons, and the American Society of Dental Anesthesiology. Married, with three sons and a daughter, Jacob is an active member of the LDS church and completed a two-year service mission in Upstate New York earlier in his career. As an Oklahoma City Kid’s Day Volunteer, he has offered free dental care to children in need in our community. Jacob is a lifelong animal lover and holds an undergraduate degree in zoology. He is a member of the National Cutting Horse Association and American Quarter Horse Association. 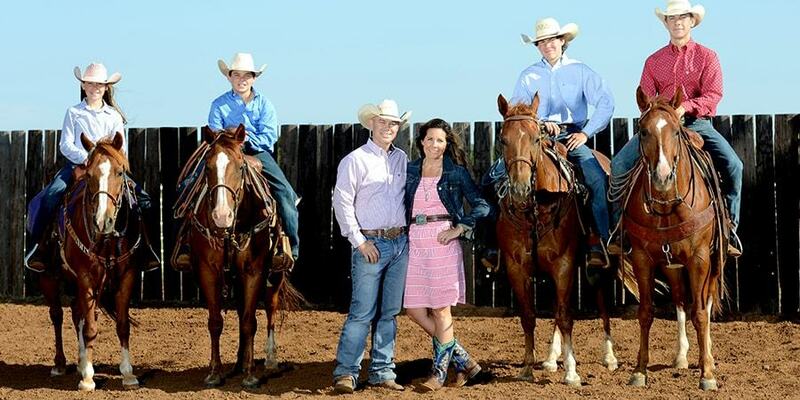 His family participates in the Oklahoma high school and junior high school’s Little Britches Rodeo. Dr. Mendenhall welcomes the opportunity to meet you and assist with your needs. To learn more about treatment and to set up an appointment, contact OKC-OMS online or by phone.